Serving the two back bedrooms, this bathroom featured a black-and-white checkered tile design on an otherwise bland off-white decor. 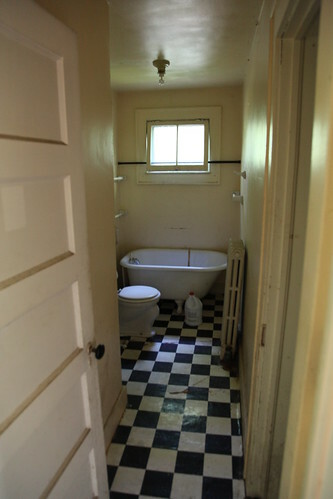 Yet another vintage tub and modern toilet - an unusual combination. This room is also one of two in the house to feature a compact fluorescent light bulb.